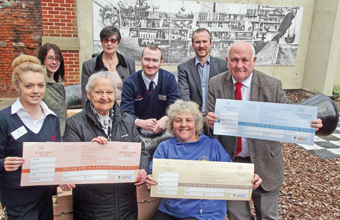 GREAT Yarmouth's heritage attractions have combined to offer a special discount pass, saving visitors money on adult entry to seven museums and English Heritage properties in the town. Valid for eight days, the pass features David Howkins Museum of Memories, The Elizabethan House Museum, Great Yarmouth Potteries and Smokehouse, Great Yarmouth Row Houses, The Nelson Museum, Time and Tide Museum of Great Yarmouth Life and The Tolhouse Museum and Gaol. Great Yarmouth Borough Council portfolio holder for tourism coun Michael Jeal said: "Uniting Great Yarmouth's museums and heritage offer together under a heritage pass to be sold in the Tourist Information Centre is a superb initiative and creates a positive critical mass of heritage venues for tourists to visit over a week's holiday in our beautiful seaside resort."